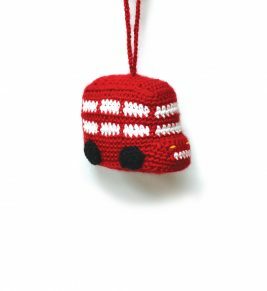 Ana Gibb Designer Knitwear – bright ideas for kids! 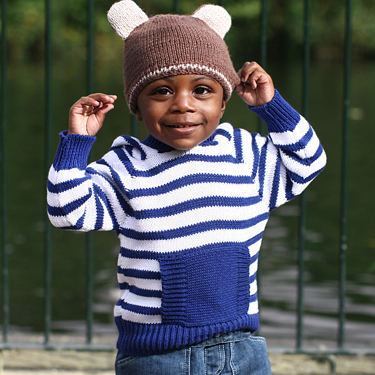 | Welcome to our exclusive range of knitwear for toddlers and babies, designed and made in the UK by Ana Gibb. 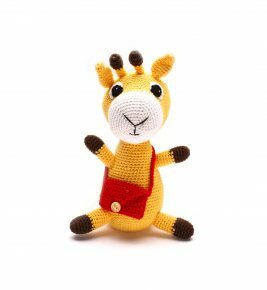 This beautiful cotton toy giraffe with its rattle will delight babies and makes a lovely gift for a new baby or for baby's first Christmas. 17 cm long. Machine washable at 40 degrees. 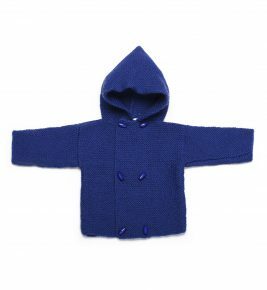 A luxurious beautifully simple and soft wool hand knitted jacket with a cosy hood. An ideal with the jeans jeans for both boys and girls. 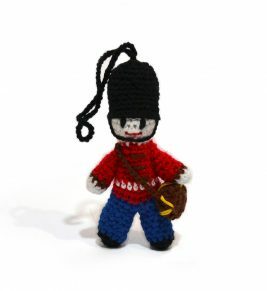 Made from soft merino wool. Machine washable at 30 degrees. Adult soft and stretchy hand knitted merino hat with a furry pom pom. Available in Pink, Grey and Navy Blue. Matching snoods available for each colour. Available in kids' sizes for a matching outfit! See suggested products on the right. ONE SIZE Made of 100% merino wool. Pom pom is made of rabbit fur. 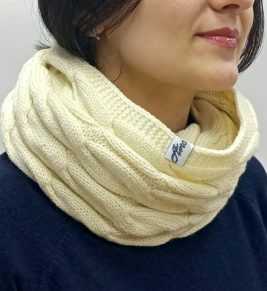 Comfortable, warm and chunky snood to cover your neck and, if needed, your head. The snood is handmade using finest quality merino wool. Machine washable at 30 degrees on a wool setting. Made of 80% merino wool and 20% microfiber. One size. Available in black and grey colours. Lovely handmade set for tiny bundles of love. Available in blue, white and pink. Matching jumpers available in the Jumpers section. Machine washable at 30 degrees. 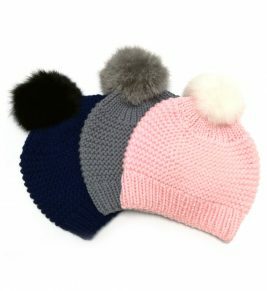 Soft and stretchy hand knitted hat with a furry pom pom. Available in Pink, Grey and Navy Blue. Matching snoods available for each colour. 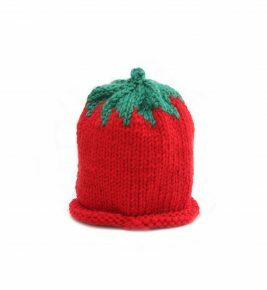 Made of 100% merino wool. Pom pom is made of rabbit fur. Colourful doll in a fancy dress. 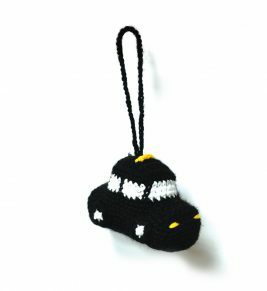 A perfect cuddly toy or a travel companion! Height - 25 cm. Made of merino wool. Available in red and purple dresses. The dress cannot be taken off. 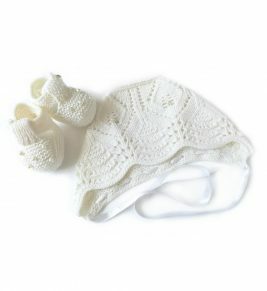 Extra-soft 100% merino wool hat and booties set, decorated with pearl beads and ribbons - perfect for christening, birthday or any other very special occasion. 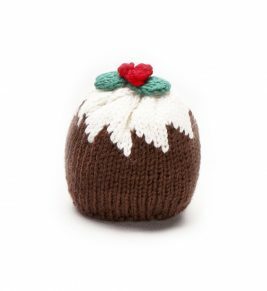 Fully hand knitted using the finest materials. Available with a matching white dress. Extra soft finely hand knitted dress, hat and booties made with 100% merino wool. Decorated with white beads and ribbons, fastened with a pearl button. A guaranteed royal look and a garment to remember! 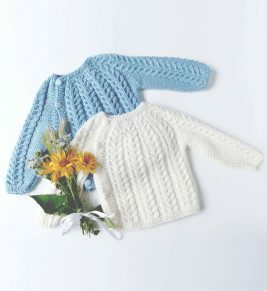 Can be purchased as a set or dress only. 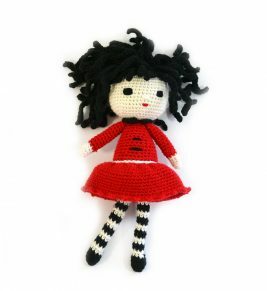 Can be custom made with 100% merino wool. Marvellous hand-knit jumpers to keep them warm and comfortable all year round. Easy fastening with buttons all along - super handy for tiny bundles of love! 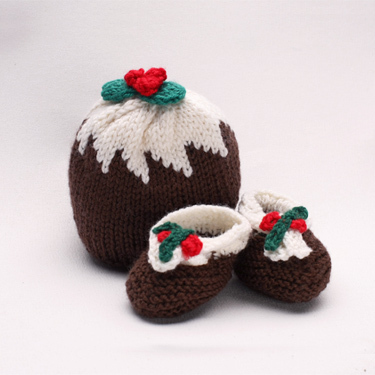 Choose between Jumper, Hat and Booties Set or Jumper only. Available in blue, pink and white. Machine washable at 30 degrees. 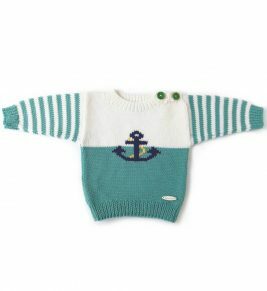 This ultra-soft mix merino jumper with funky design will make a great addition to your little one's wardrobe. Absolutely wonderful and practical Christmas tree decoration will create a unique look. It is also safe for those who have little children or pets. The bus is approximately 11cm tall. Machine washable at 30 degrees. 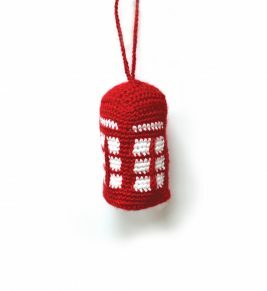 An absolutely wonderful and practical Christmas tree decoration will create a unique look. It is also safe for those who have little children or pets. The approximate size is 11cm tall. Machine washable at 30 degrees. An absolutely wonderful and practical Christmas tree decoration will create a unique look. It is also safe for those who have little children or pets. The approximate size is 8cm tall. 100% cotton. Handmade crochet Rabbit toy with a rattle inside. 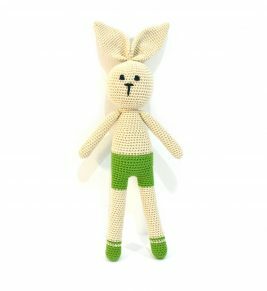 Our beautifully knitted rabbit is made using high-quality cotton and will make a perfect gift for a little one. Approx 30 cm tall. Machine washable at 30 degrees. Handmade crochet fox toy with the rattle inside. Our fox is beautifully knitted using high-quality cotton and is soon to become of your little one's favourite toy. Approx 23cm tall. Machine washable at 30 degrees. 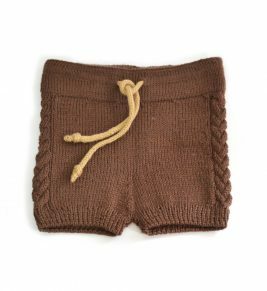 These brown knitted babyshorts are made of soft, stretchy merino mix. They have a ribbed waistband with a tie for an adjustable fit. 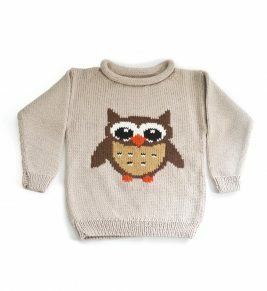 Matching owl jumper is available. Machine washable at 30 degrees. 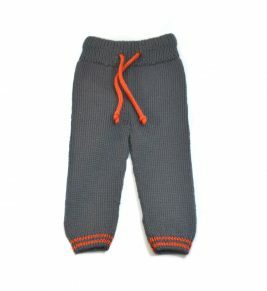 Grey handmade trousers knitted with soft and stretchy cotton. They have a ribbed waistband with an orange tie for an adjustable fit. Matching jumpers are available. Machine washable at 30 degrees. A kid's wardrobe is not complete without an ultra-soft mix merino jumper! 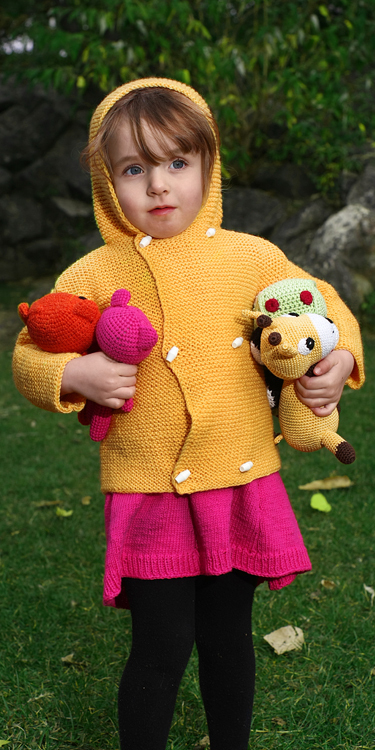 This cute jumper is made of extra-fine Merino wool with a foxy at the front. Suitable for boys and girls alike. Matching bottom/bloomers available. Machine washable at 30 degrees. Fully handmade, ultra-soft mix merino jumper with a rabbit at the front. 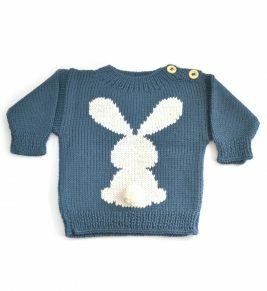 This cute jumper has a tickly rabbit tail to make it both practical and fun to wear! Suitable for boys and girls alike. Machine washable at 30 degrees. A kid’s wardrobe is not complete without an ultra-soft mix merino jumper! 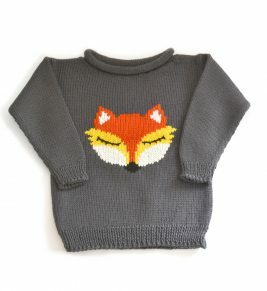 This cute jumper is made of extra-fine Merino wool with a foxy at the front. Suitable for boys and girls alike. Matching bottoms available. Machine washable at 30 degrees.